Eric Freundt, director of UT’s Office of Undergraduate Research and Inquiry, said that students who participate in research and inquiry develop transferrable skills, such as critical thinking, communication and problem solving that are highly valued by employers and graduate programs. It’s one such reason his office has been a member of the Council on Undergraduate Research (CUR) for several years and recently announced that membership benefits that support faculty-mentored student research will now extend to all part-time and full-time faculty, staff and students at no cost to the individual (usually $80 a year for faculty). 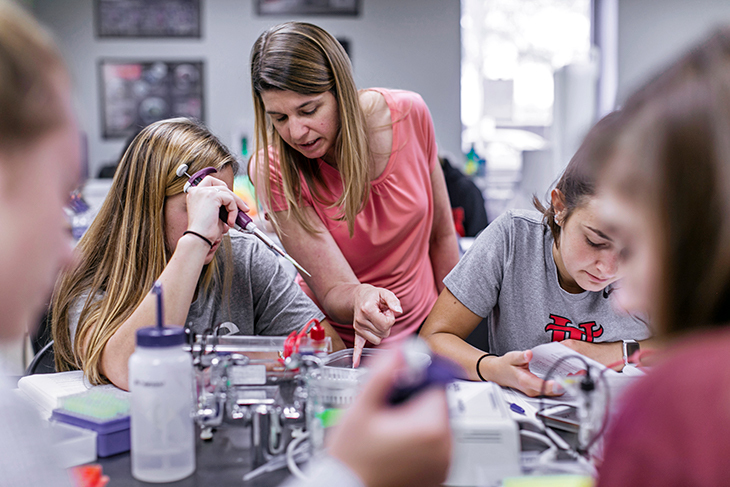 "Students who participate in research learn their subject more deeply, are more likely to finish their degree, and they also develop strong relationships with their faculty mentors. Those relationships often persist long after the student graduates," said Eric Freundt, director of UT’s Office of Undergraduate Research and Inquiry. Members have access to Scholarship and Practice of Undergraduate Research (SPUR) and access to the searchable archive featuring scholarly work that examines effective practices and novel approaches, explores pedagogical models and highlights the results of assessment of undergraduate research. Members also have access to a variety of other resources such as webinars, message boards, and discounts on CUR workshops and national meetings. Freundt said CUR offers awards to support students who are traveling to conferences to present their work, awards that recognize faculty mentors, workshops and conferences to support faculty who work with students, and an annual event on Capitol Hill where 60 students are given the opportunity to present their research to Congress. He said they also offer a registry of undergraduate researchers; UT students interested in graduate school can enter their information in a database that is used by graduate schools for recruiting. CUR also has an annual conference for undergraduate researchers, called the National Conference on Undergraduate Research (NCUR), which is a prestigious conference that brings together student scholars from across the U.S. Next year, Freundt’s office will be supporting 10 UT students to NCUR in Bozeman, MT. To sign up for an individual membership through UT, use your UT email address to email Janae Douglas, membership coordinator at CUR, at jdouglas@cur.org.